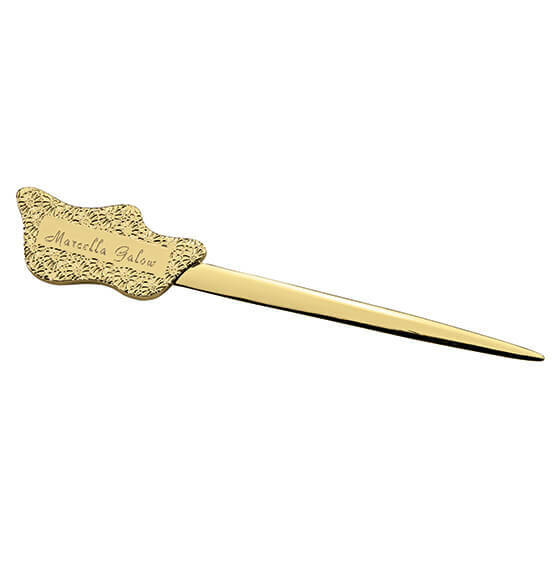 Add an elegant touch to your desk and make a unique gift with this treasured friend personalized letter opener. 24K gold plate. Custom letter opener measures 7 3/8" L. Specify name, up to 20 letters/spaces. I purchased this letter opener as a gift for a friend who admired one that I have. I've had mine for twenty odd years, so I wasn't sure that I'd be able to find one. I was delighted to find this one which says "Treasured friend". At no additional cost, I was able to have it personalized with my friend's name. What a delightful gift for a treasured friend ! 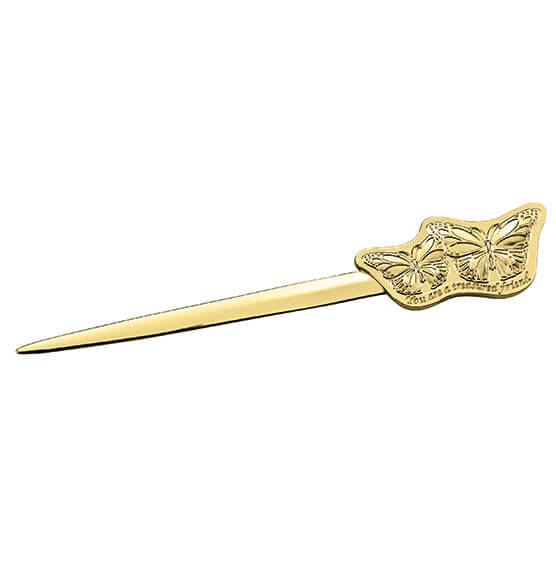 I luv butterflies, and they are done beautifully on this letter opener.